The Charles H. Coolidge Medal of Honor Heritage Center has signed a letter of intent with the River City Company to build its Heritage Center at the Visitors Center building in Aquarium Plaza and plans to open in February 2020, contingent upon achieving specific fundraising benchmarks. “We’ve taken an important step to making the Charles H. Coolidge Medal of Honor Heritage Center a reality for Chattanooga – a place many view as the birthplace and home of our nation’s most treasured military honor, the Medal of Honor,” says Major General Bill Raines, U.S. Army (retired) and chairman of the Heritage Center. Lt. Gen. Charles H. Coolidge, Jr., U.S. Air Force (retired) and son of Medal of Honor recipient Charles H. Coolidge, says his family supports the decision to build the new Heritage Center in downtown Chattanooga. “This is an opportunity to share the values embodied in the Medal of Honor with the more than 900,000 people that go through the Aquarium Plaza every year. The letter of intent with River City Company entails two benchmarks the Heritage Center must achieve before signing a long-term lease for the Visitors Center building. The first benchmark requires the Heritage Center to raise $1 million by the end of 2017. The Heritage Center has already raised nearly $500,000 from its board and expects to raise the remaining $500,000 from the veteran community through its veteran charter membership drive. For information on purchasing a veteran charter membership, visit www.mohm.org/veterans. “Hamilton County has more than 25,000 veterans, and their financial support is a critical piece to making this capital campaign successful,” says Colonel Frank Hughes, U.S.M.C. (retired) and chairman of the Heritage Center’s capital campaign. The second benchmark requires the Heritage Center to raise a cumulative $3 million by the end of 2018. To reach this goal, the Heritage Center has formed an extensive capital campaign committee composed of local and national veterans, community leaders and corporate executives. The committee will be chaired by: Gen. B.B. Bell, U.S. Army (retired); Col. Frank Hughes, U.S.M.C. (retired); Joseph Decosimo, CPA; Coolidge; and Raines. In all, the Heritage Center expects to raise more than $6 million – which includes a $1 million endowment – to design and build a state-of-the-art facility that will tell the stories of Medal of Honor recipients such as Desmond Doss, Charles Coolidge, Alvin York, Ray Duke, Paul Huff and Dr. Mary Walker – the only female to receive the Medal of Honor. Pending final negotiations with River City Company, the Heritage Center expects construction of the 19,000 square-foot facility to start in early 2019, with the opening scheduled for 2020. 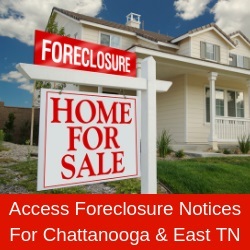 To learn more, visit www.mohm.org or call (423) 405-3677.